On Matchday 1 of the Tischennis Bundesliga (TTBL), TSV Bad Königshofen make for for the first big surprise of the season and leaves favored SV Werder Bremen no chance. ASV Grünwettersbach is cloese to away win, too, but have to leavue the points to TTF Liebherr Ochsenhausen. The TTBL comeback of TTC indeland Jülich fails, Post SV Mühlhausen score away. 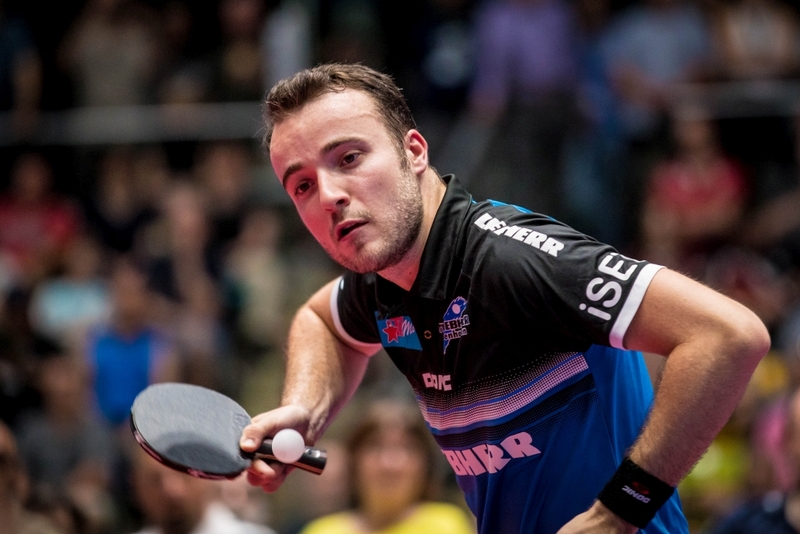 Lasr season's runner-up TTF Liebherr Ochsenhausen were able to pull their head out of the noose on Matchday 1 of the Tischtennis Bundesliga (TTBL). Against ASV Grünwettersbach, the team of coach Dmitrij Mazunov was down 0-2, but fought their way back into the match to win 3-2 after a thrilling doubles encounter. "The first match of the season is always difficult because you do not know where you stand. But the boys did not give up after the 0-2, that was important," said Mazunov. Kicking off the match in Ehingen, Dang Qiu beat Simon Gauzy for the surprising break and thus the lead of the guests, which Ricardo Walther could even extend against Stefan Fegerl. After the break, however, Jakub Dyjas shortened to 1-2 against Bojan Tokic, just before Gauzy in a high-class duel against Ricardo Walther scoered the 2-2 equalizer with his fourth match point. The final doubles then ran in the direction of the guests first, but Fegerl and Dyjas secured the win in a brilliant final spurt – and so avoided another false start into the season. That's exactly what SV Werder Bremen did not achieve. On the contrary: Against last year's newcomer TSV Bad Königshofen, the team of coach Cristian Tamas had to suffer a bitter 0-3 defeat. "Of course we had a different idea of our start into the seasoy," Bremen's number one Bastian Steger had to admit. "But we will not be disturbed by that. The season is still long." The match in the Klaus-Dieter-Fischer-Hall was not, though. Steger's clear opening defeat against Kilian Ort brought Bremen on the losing road, also new signing Gustavo Tsuboi was without a chance against Mizuki Oikawa. After the break, Hunor Szöcs braced himself against the home defeat with all his might, but could not prevent Bremen's false start against Bad Königshof's new signing Bence Majoros. "My victory over Bremen's strongest player was certainly the crucial point in the match, especially tactically I've done quite well," said Ort. "My two teammates brought the game home very cleverly." Well-deserved pay for TSV: the first championship lead in the club's history. Behind Bad Königshofen in second place is now TTC Zugbrücke Grenzau against which newcomer TTC indeland Jülich had worked something out for themselves in advance. However, the team of coach Miroslav Broda should not score more than the first Bundesliga point in eight years. After the 0- 2, it was the Belgian Robin Devos, who could shorten the Grenzau's lead in a duel of the new signings against Marcelo Aguirre, but only adjourn the decision. As with his second point of the day, Grenzau's number one Kirill Gerassimenko then made for the deserved 3-1 away win of the guests. Gerassimenko's opposite Dennis Klein caught a used day and lost both singles clearly. 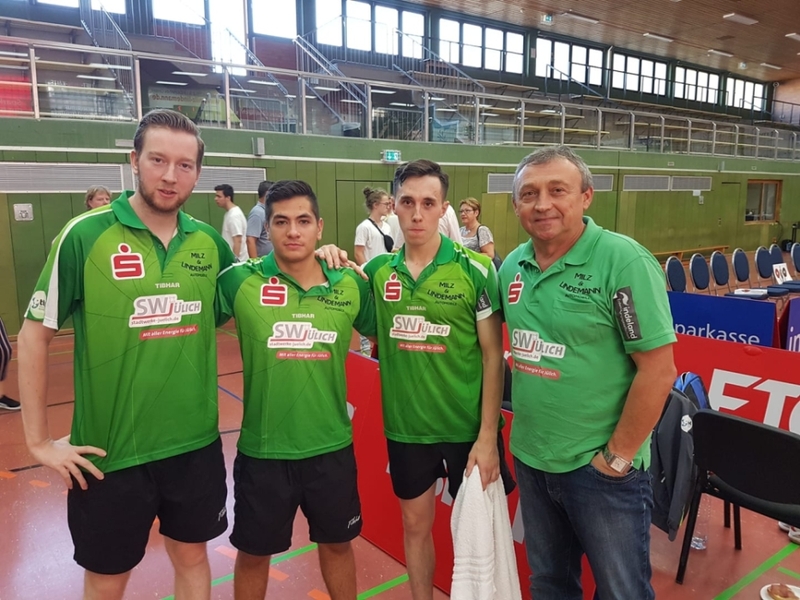 TTC Schwalbe Bergneustadt struggled with initial difficulties, too, losing 2-3 against Post SV Mühlhausen despite two points by Benedikt Duda. "Of course I always try to do my part. But for me, the team comes first. Unfortunately, it was a bit unlucky today." 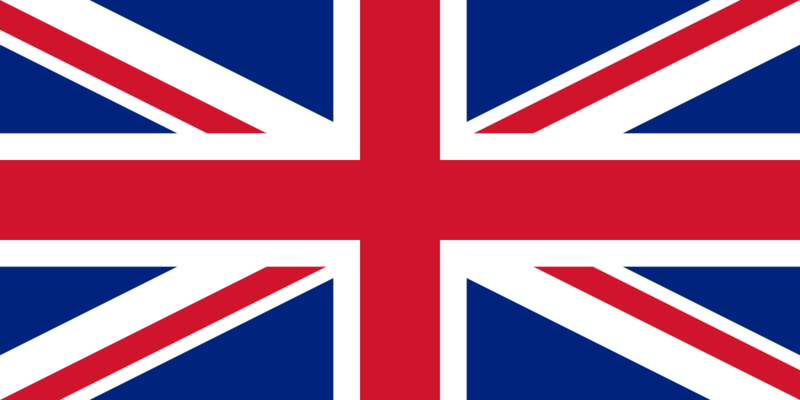 For example for new signing Paul Drinkhall, who first lost in the decisive set against Daniel Habesohn and was defeated on the side of Alvaro Robles in the doubles as well. The reintroduced mode should actually be a trump card of the TTC, though. "We have three very good double players and can therefore be very variable," said Duda. This time, however, the bill of player-coach Yang Lei did not pay. Although the combination Robles/Drinkhall played well, the Mühlhausen pair Habesohn/Lubomir Jancarik were always in control of the match and eventually secured the victory. Already on Friday evening, Borussia Düsseldorf had prevailed 3-2 against TTC RhönSprudel Fulda-Maberzell in the opening match of the season. All matches of the first matchday as well as numerous on-demand-videos will be available on TTBL-TV shortly.